HIGHLY VERSATILE: Use as a headband for running, as a neck gaiter for fishing or why not as a balaclava when it's colder? DEMIL'S UNIQUE FASHION DESIGN HEADBAND. 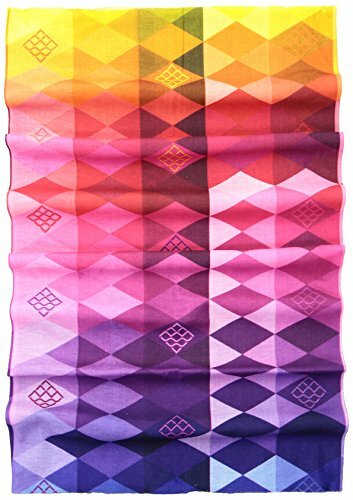 MULTI STYLE-Size: 19? x 9.5? (L x W),appropriate for head circumference 53--62cm.Headwrap can be styled over 16 different ways.More than 170 designs.Made out of 100% microfiber a highly breathable and moisture wicking material that stretches well when pulled so it doesn't feel too tight on your head. 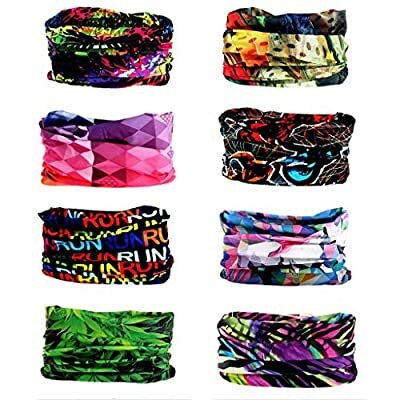 PRODUCT PERFORMANCE & WASHING.Magic seamless headband,light weight,absorbent,breathable and dry quickly,high power defend Uv,bamboo charcoal fiber,high power antibacterial,anti-mosquito,machine washable,fastness,avoid ironing,no off-flavor. 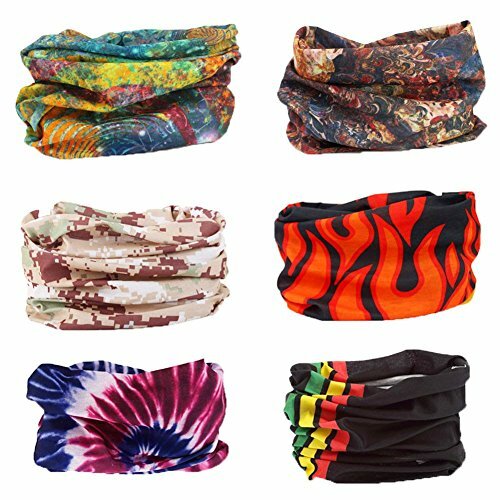 HOW TO USE.1*headband=16+different ways,save your money,at the same time you can use to scarf,mask,hip-pop , cap,ninja,kitchener,pirate,balaclava,robber,headwrap,hair bands,wrist strap and so on. WHEN TO WEAR YOUR DEMIL HEADBAND.Our many customers have used our headband for running,yoga,sports,outdoor,skiing,fishing,riding,motor,hiking,SC etc. 100% SATISFIED.If you have any question for our headband,simply contact us.